Interviewing Technique – A Bridge Too Far? Bridging. You’ve probably witnessed this technique many times without perhaps realising that it’s a well-established tool to try to steer the direction of an interview towards the agenda of the interviewee rather than the interviewer. Contrary to what some other media comms and crisis communications consultants believe I don’t think that bridging is the panacea to combative interviewers ; most media professionals have been savvy to it for many years. It is a tool which should be used carefully and sparingly. Often when an interviewee is under pressure it’s used as a damage-limitation mechanism but it’s part of the tool kit, not the only one. Many politicians use it to avoid directly answering a question in an attempt to reset the agenda during the interview, with varying degrees of success. 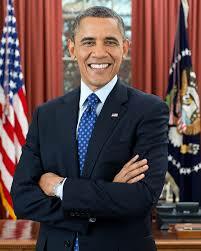 Done poorly, bridging can sound like they are being evasive; done well they can come across as smart. It’s certainly not easy to use successfully as you can hear every day on the tv and radio. Successful bridging requires preparation and practice. And if you think you can do it successfully without either, then you’re either lucky enough to be born into that tiny minority of communication geniuses…………. or delusional. Any interviewer worth his or her salt will have researched and prepared the areas for questioning beforehand. 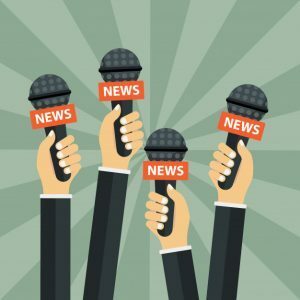 So if you are about to be interviewed about a story that reflects well on your organization (yes it might happen, and I hope it does) then you could use a bridging phrase to concentrate on what you believe to be an aspect of the story which reflects better on your company than the one being addressed by the reporter or presenter. So hopefully the interviewer then asks the obvious follow-up question for you to shed even more light and beauty into the grey, doom-ridden world which the media inhabits most of the time. Obviously, in a crisis communication scenario you will be asked to address much more challenging issues that don’t necessarily reflect well on your organisation. Bridging is an art not a science and so as part of your preparation for the interview it is essential that you cover the ground that you believe the interviewer is likely to address and that includes the difficult areas, outside of your comfort zone. With the right practice and training you should be able to establish your key messages while addressing the concerns of the interviewer. But comprehensive prep is the key, and it is not easy, which is why even practiced professional communicators can come badly unstuck at times. Underpinning the whole exercise should be your self-awareness and your ability to develop your media persona so that you articulate your messages in an authentic and convincing way. The top practitioners often have a ready supply of well-used phrases which they seem to be able to pluck out of the ether when required to devastating effect. Most of us aren’t required to address the media to that extent which is why careful preparation is so important. I would also highly recommend using a colleague(s) for feedback and practice and that requires a fair amount of time beforehand. In the UK we are arguably less impressed by political sales patter but if it’s not laid on too thickly it can be a highly effective way of moving the conversation forward. Of course it only works if you have something important to say at the end of your bridging phrase and don’t get lost in a stream of meaningless verbiage ; you need to be able to have something of substance to say not just waffle. 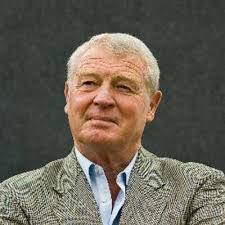 In the UK the former leader of the Liberal Democrats Lord Paddy Ashdown is as smooth a media operator as you’re likely to see and has an armoury of well-used and effective phrases designed to keep his replies on-message. Most politicians have their well-honed phrases and the best communicators use them just occasionally but to good effect. And for us mere mortals there is absolutely no harm in rehearsing a few phrases of your own out loud with colleagues or media trainers before your interview – in fact we actively encourage it. But they are best coming from you or from people who know your style – authenticity is the key, as we say in all our media training workshops (usually once or twice an hour to ram the message home!). Let’s say you’re representing a residents group which is fighting against local authority plans to grant planning permission to a developer who wants to build luxury apartments on green space – land which has been used and enjoyed by families for generations..
It’s important that you only use phrases you are comfortable with, not those prepared by someone whose mode of expression is completely different to your own; different tactics for different people. The Barrack Obama and Paddy Ashdown-type ripostes work for them because they are experienced politicians with many years of media interviews before them and are true to their personalities and/or personas. They’ve learned from their mistakes and have been carefully media-trained. Ashdown has now entered the veteran stage and because he’s no longer in the front-line of politics he has developed the aura of a sage observer of our times, while remaining at heart a politician with a party political message ; he can get away with a more thoughtful,discursive, armchair style. Obama may travel on a similar route. As a spokesperson for a local residents group -or indeed a local councillor/builder/resident who is in favour of the planning proposal- you need to get your message across clearly and communicate to the audience in a reasonable way. If you need to use bridging as a tool to help you do that do so sparingly and your message will be all the more powerful. As long as it’s authentic (that word again) and fits into your communication style. And if you’re not sure if it does, that’s where we come in.